Do you like The Stand by Stephen King? How about Swan Song by Robert R. McCammon? And H.G. Wells’ War of the Worlds? 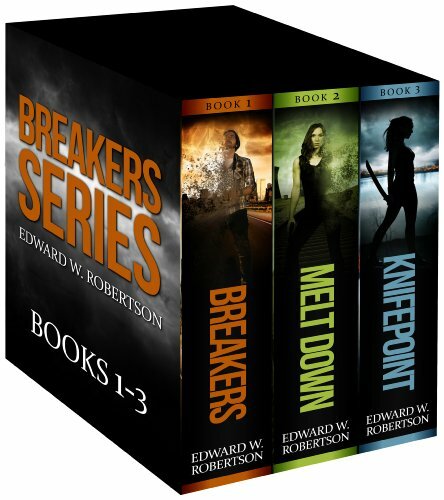 If you like those books and books like them, you will like this series from Edward W. Robertson. I love The Stand (probably not a shock to my readers), and when I started the first book in this series (titled Breakers), for roughly the first third to the first half of the book, I was so forcefully reminded of King’s book that I read it with bated breath. I told Supergirl many, many times how much it reminded me of The Stand. Then, the story took a hard left. I’ve already given it away in the first paragraph, so I can say it here again. The left turn comes from outer space… Robertson introduces this twist without apology, without pulling any punches. From there, the story really takes off. I recommend this series strongly–it’s an awesome read. The best part is, right now you can get it for FREE on Amazon!